Registered participants will receive specific joining instructions two weeks before the conference. In the meantime, we hope you find the following, more general, ECEL Practical Information helpful. AAU is placed upon many of the renowned ranking list among the world’s approximately 17.000 universities and is in general among the top 3 %. Copenhagen has a central location in Europe and an efficient infrastructure, which makes it easy to arrive by train, bus, ferry or flight. Copenhagen Airport (CPH), is situated very close to the city centre, and you can get from the airport to the centre in about 13 minutes by metro or train. 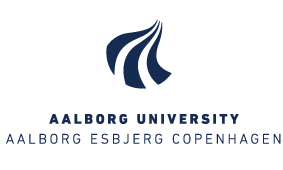 Aalborg University Copenhagen (AAU-Cph) is located at A.C Meyers Vænge 15, in south-west Copenhagen, only a few kilometres from the centre of the city. The public transportation in Copenhagen is excellent and there is a good public transport links from the airport to the university and city areas. The designated Conference Hotel for ECEL 2019 is not yet confirmed.